Sometimes I wonder why I do this! 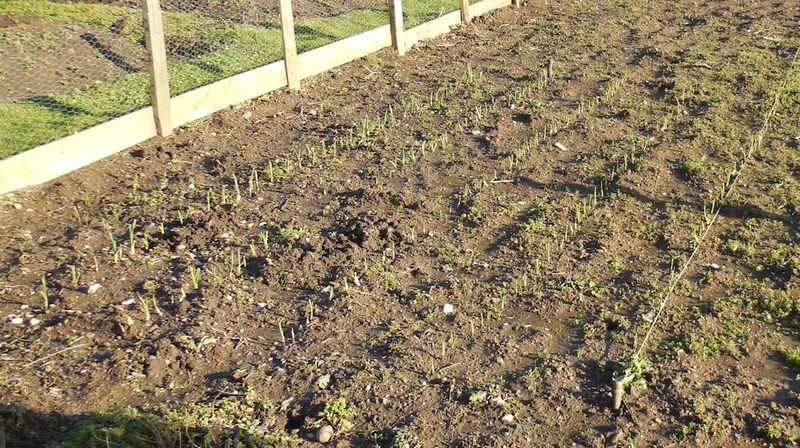 A frustrating month with great success for the weeds and the rest just struggling along. First, the hot summer matured everything at record pace before it was really ready, the gales blew down some of the best sweet corn I have ever grown, during my few days away on Wolf, all my tomatoes were wiped out with blight, then the big deer leapt the fence and sheared off my runner beans, the potatoes are suffering from the depredation of the slugs, mildew is attacking the courgettes AND I have been attacked by wasps. I put in rather more potatoes than usual, mainly to fill up space but also because I couldn't find desiree locally or lady crystal. Then I did find them so extra lots went in anyway. Just as well as it has turned out as I bought cara main crop as I thought they looked nice with their little pink spots. The SLUGS agree with me on this. At least 90% of these have had to be thrown away. My resolve for next year is to go for varieties that are less attractive to slugs, so that means: charlotte, desiree, romano but would like to find a good white fryer/roaster. The RHS suggests not using manure [or compost], keeping weed free [hmmm] and going for a nematode slug killer. I surely have to do something about this. As you can see from the pics, the weeds have done well, so well in fact that they have almost kept the plot weed free. It has continued hot and dry through July. Ground has been baked hard so its difficult to get even a fork into it. The weeds hang on tight too as is rather obvious from this month's pics. Cutting our first sweet corn for two weeks now. Runner beans desperate for water, especially to set the flowers. I have bought a job lot of four non-working push mowers. One of these is now running ok so the immediate problem of the grass is solved though the grass is no longer growing like mad so that makes it a little bit easier. The mowers take as long [err longer] than the weeding. A hot and dry June everything including the weeds doing well. We have had both our communal mowers stolen. Not a great gain for anyone but a great loss to us as now there is no way to cut the grass unless you bring something from home and scratch your car. I have been working on a ride-on mower [or two] and have one just about ready to go. Have cut the easy bit but the long grass on the side was too much for it and the [new] drive belt failed. I will prevail over this but it is taking a little while. Wet and warm and everything growing like mad. Just dug my first eary potatoes, could have started them at least a week ago. Dug out of mud though it has been so wet. Most of the marrow squash things in now and about to put in the tomatoes. Sweet corn doing very well. A busy time at the allotment and especially so as I have just been away for a week in the states and am about to go to Greece for a week as well. Somethings are just going to have to go in, ready or not. So the runner bean poles are up in readiness for the plants tomorrow and the cabbage cage likewise. The various livestock up there are having a wonderful time, two hen pheasants flew out of my onion patch this morning complaining all the way as they left. Two more mice trapped this morning too. That is mice: one row of beatroot, two rows of broad beans and two rows of peas. Me: five mice. Suddenly it is warm and dry. Soil easy to work and everything on the go. Have planted first early potatoes as well as onion sets. Recent work has been to strengthen my defences against the rabbits. I've also grubbed up the blackcurrant bushes and incorporated their patch into the main one. I've had to buy wood to make the fence too. Mainly due to the realisation that poor pallet wood rots rather quickly. The hardwood slats from the Indian limestone pallets has been fine but that I can't drive a nail into it. Warmer and drier but the ground still too wet to work. Had a dozen leeks for our evening meal but even these will run out soon. The forced rhubarb is all but ready but that we still have a small amount left in the freezer. The wettest January on record and just because it is now February that doesn't mean that the weather will change. The whole site is sodden with the water table just below the surface. Removing stakes today left water filled holes. This the first bright day this month, make the most of it they said as the next depression is sweeping in with more rain and gales. Too wet and too busy to actually do anything up at the allotment. All appears very soggy and windblown and muntjac chewed.